Another easy recipe so I can get back on track! This principle should work for turning basically any liquid into a gel sphere. To be clear, the gellification recipes (with Agar Agar) turn things into a solid, jello like substance. The spherification recipes (with sodium alginate/calcium lactate) turn things in a sphere with a liquid middle. 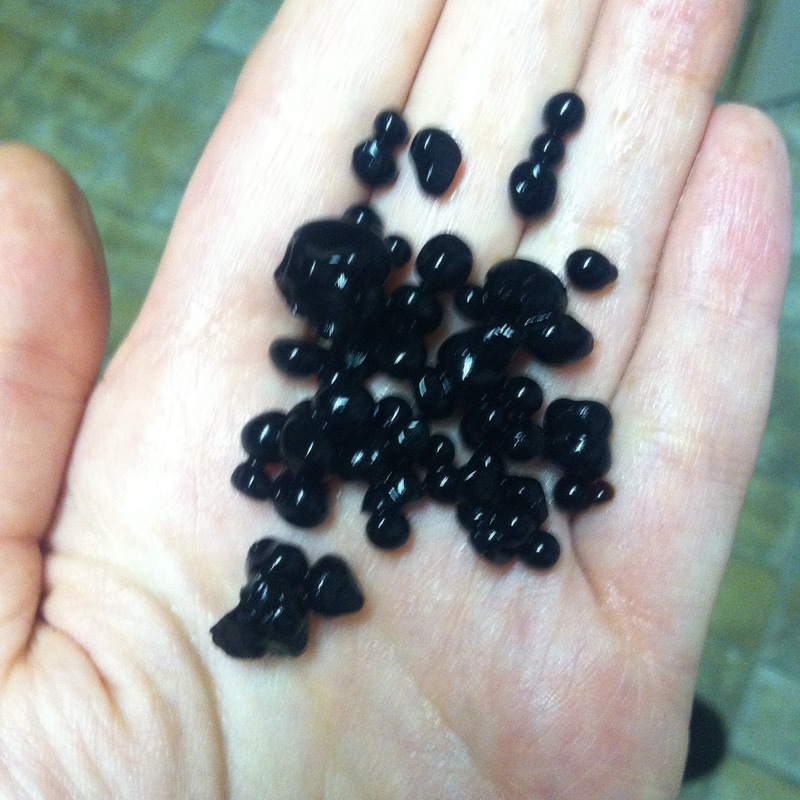 Spherification recipes can have really cool results, but are harder to pull off and the spheres are usually larger. Below is a gellification recipe. 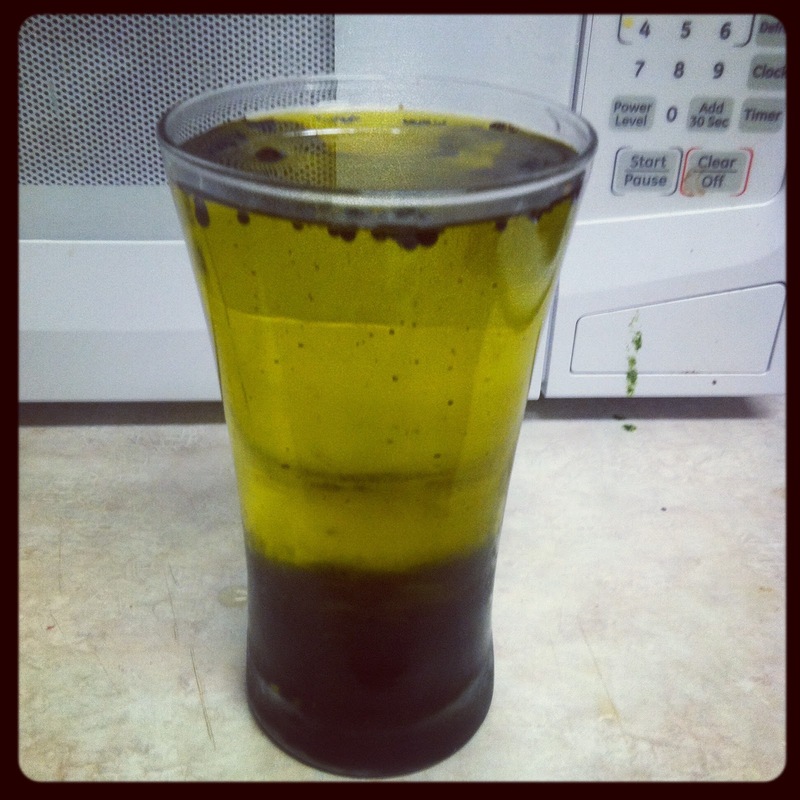 1) Fill a tall glass with olive oil and put in the fridge for 30 minutes. 2) When the oil is about five minutes from being done, boil 2/3 cup balsamic vinegar with one packat Agar Agar. 3) Using a dropper, drop the balsamic mixture into the cold olive oil. 4) When all the vinegar is dropped in, use a slotted spoon to transfer the spheres to a bowl of cold water and rinse. *I placed cheesecloth over a bowl and poured my leftover olive oil into this to filter out any leftover pearls. Then I reserved the olive oil – this would have been a big waste to throw away that much. 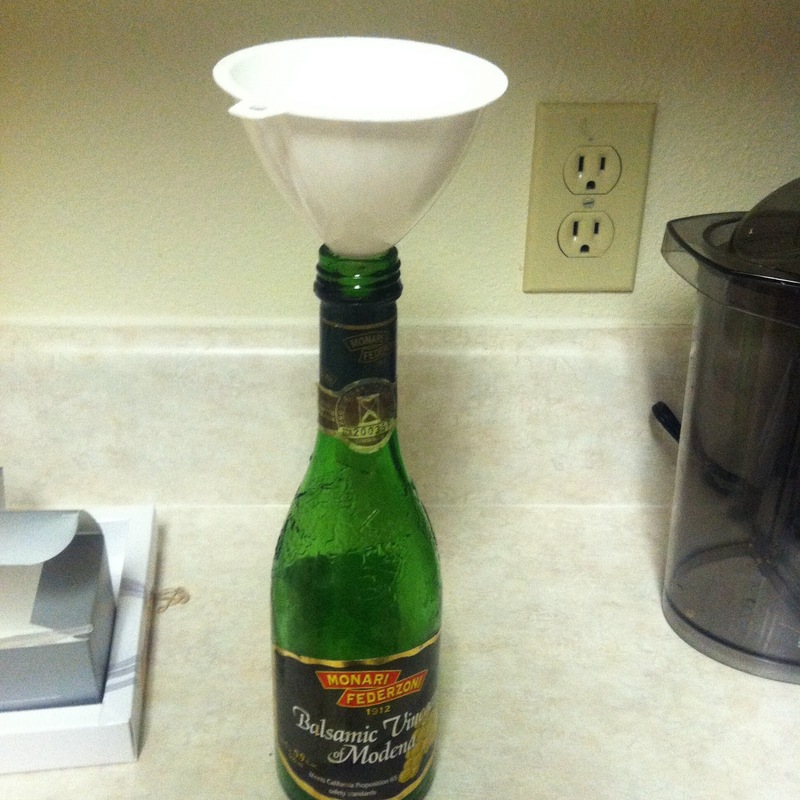 I then used a filter to get the olive oil back into a bottle. *I also used a cheesecloth to rinse my pearls. After the first bath, I poured the bath over the cheesecloth and filtered out the pearls. Then I put them in another bath and repeated this process once more. I am going to eat these in a tomato/mozzerella/basil salad. Delicious! Wow! Interesting! I would have never thought of that!